Although libraries are fantastic, they also tend to be very underfunded, as well. 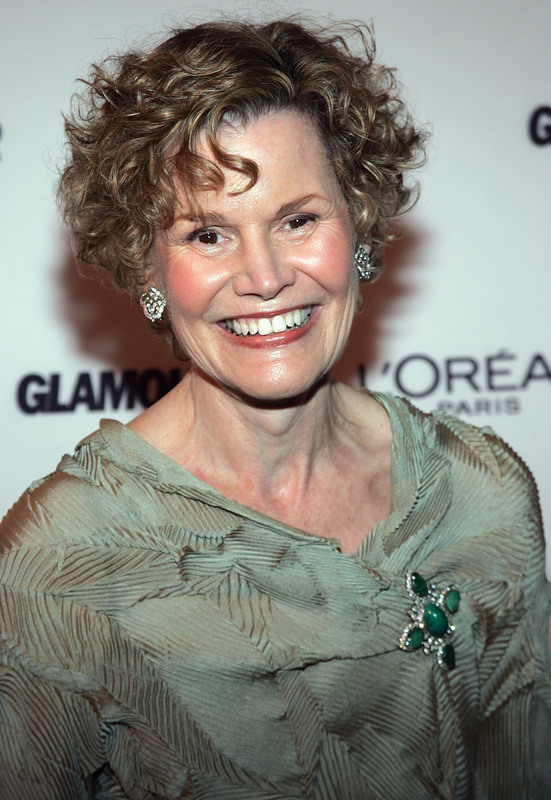 But libraries do have their advocates; for instance, author Judy Blume urged New York's mayor to increase library funding, joining forces with the New York Public Library. And any team that includes Judy Blume and libraries certainly has my support. According to the New York Public Library (NYPL), the largest of New York City's three library systems, funding for the library has been cut by nearly 20 percent, and that library has had to lose more than 1,000 staff members. That's why the library is petitioning Mayor Bill de Blasio and other city officials to increase their funding. Blume is on board with the effort. The library recently sent out an email from Blume to its patrons with the subject line "Are You There Mr. Mayor? It's Me, Judy Blume," which is of course a reference to her young adult novel Are You There God? It's Me, Margaret — an enduring classic. In the email, Blume notes that $65 million has been cut from city libraries' budget since 2008, and that "If that funding was restored to the City's three library systems, the total budget for public libraries would be less than half of one percent of the total City budget. Seems like a no-brainer to me." And I'm inclined to agree. Blume also urged library patrons to "join [her] in taking a stand" by sending a letter expressing their support to Mayor de Blasio and the city counsel. The fact that libraries tend to be so underfunded is actually not only sad, but confusing. On the surface, many people assume that libraries are becoming obsolete, but in fact, the opposite is happening — libraries are more important than ever, and continue to be extremely popular. As NYPL says, "demand for libraries – our books, programs, and services – has never been higher." In fact, recent analysis by the New York Times found that the city's three libraries saw more visitors per year than all of New York City's major sports arenas, museums, performing arts centers, botanical gardens, zoos, and historical sites combined. So, if you live in New York, listen to the wisdom of Judy Blume, and tell the city counsel to invest in the city libraries and all the wonderful things they do by sending a letter from the NYPL website here. It's your city, and you deserve access to a top notch library system.